I decided to finally build a G3258 rig with the intent of pushing it as far as I can get it. I purchased all of the parts, less the PSU and CPU cooler, used or refurbished to keep prices down. I did not really spend too much time managing the cables in this build, as you cannot see inside. Let me know what you guys think and if you have any pointers about getting a higher OC out of this CPU. As of right now, I have not really pushed it too far just yet. The CPU is stable at 4ghz with the stock voltage and RAM running at 1866mhz. This is where I started as my stable base. The rig survived prime95 for 4hrs at this speed with temps of 63c on core 1 and 58c on core 2. I was able to get the CPU up to 4.4ghz at 1.35v for a 30min test, but I did not like the temps as they were pushing over 70c. I will keep playing with it to see if I can improve here. I know surviving 24hrs of prime95 is the gold standard, but I don’t have time for that right now. I will be on leave from work for a few weeks in the near future and that is when I plan on doing the 24hr tests. I will be benchmarking the computer over the next few days and I will update this posting if I get a chance. The G3258 was an obvious choice. I got it pretty cheap, all things considered. So far it is working like a champ. I picked up a Hyper T4 so I would not have to use the stock cooler. The MoBo I think I got close to a steal on ebay. The seller did not cover the socket in shipping, but thankfully no damage to be noted, and it came with an IO shield. The case was purchased refurbished on Newegg. It is the use 2.0 variant. The PSU was just a budget find. The EVGA430 misses the 80+ rating it claims to have, just barley. Even though it misses the mark, it gets really good reviews from the PSU testing community due to the price per quality. Normally you would not expect much from a $30 PSU. I just added an old R7 250 I had from a few years back so I could do some gaming benchmarks. 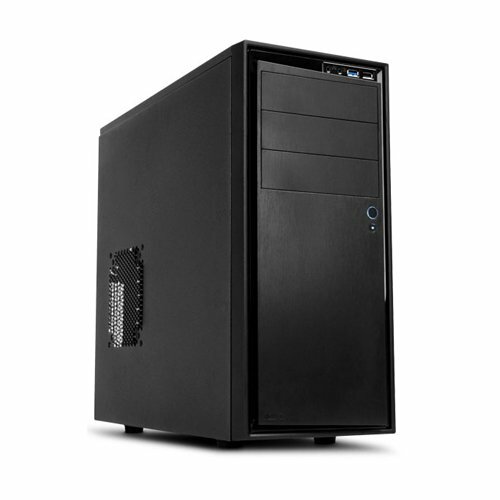 I do not plan on leaving the GPU in the PC, so I did not add the price to the build. If I was to add a GPU, I would pick up something like the RX460. The GPU's official model number is R7250X1GB however it is a 2gb card and the PC sees it as a HD7770 leading me to believe it was packaged and sold wrong. I have not purchased Windows for the PC as I plan on installing Linux when I am done testing it. Right now I am using Win10 in evaluation mode, no bootleg software/keys here. Linksys Wireless G card: I have had this thing so long, I don't even remember what it cost originally. I may pick up a cheap wireless N card to put in this PC soon. 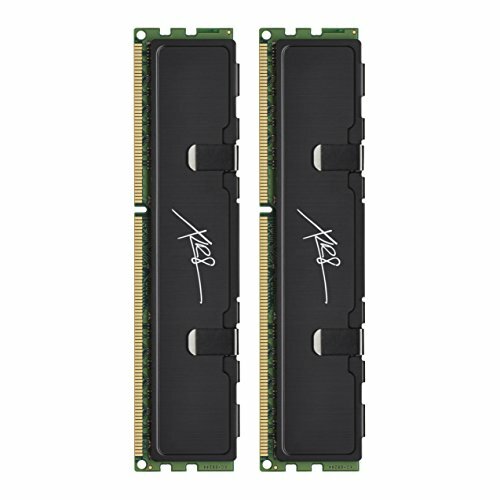 For the price you cannot complain, it is a dual core that can be overclocked to beat an i3 and keep up with an i7 in single/dual threaded workloads. AMD mounting solution only allow it to be mounted parallel with the PCIe slots which is really annoying. The AMD mounting solution can be both a pro and a con as it is locked in one direction but does not need any additional hardware. You can just use AMD's stock mounting system. Intel mounting solution allows it to be mounted either way, though the fan does touch the retention arm. For the price it preforms really well. Really good board all and all for the price. My only major complaint is the CPU OC settings require you to use the +/- keys where all the other settings are drop downs. Considering this is a $30 PSU it is a dang good one, it does miss the 80+ rating it clames to have but otherwise is good for the price. 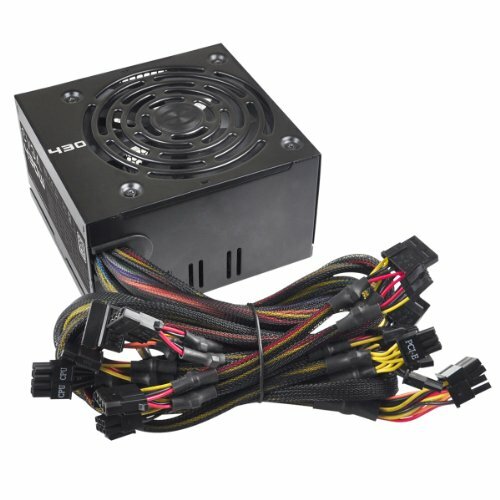 Most PSU reviewers give this PSU a best in price rating, so far it has not disappointed. 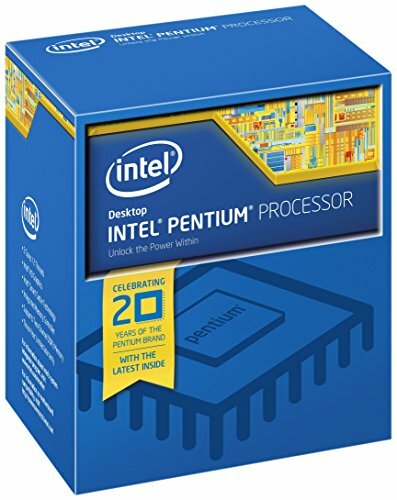 I would completely advise getting this CPU if your budget is under $40 over most of the competition. This is the only one I have ever seen myself, I got it from Newegg refurbished a few years ago. Newegg had it listed (and the packaging agreed) as a R7250X1GB, and the PC sees it as a HD7770 2GB. To be honest I bet it started its life as a HD7770 and was rebranded (packaging) as a R7, since the PC (including the catalyst software) sees it as a HD7770 I bet the firmware was never flashed. Yes and no, the same physical card but two different firmware's and branded completely differently. This was a r7 250x that had the HD7770 firmware on it, most likely an older left over that was repackaged and the manufacturer either forgot or neglected to reflash the firmware. Nice. I'm a fan of the G3258 myself. What do you have yours clocked at? I gave mine to my wife and it's purring along at 4.5ghz 24/7. Right now it is enjoying life at 4ghz, but I plan on keeping it in the 4.5ghz to 4.7ghz range if the silicon lottery allows. I have managed to get it stable at 4.5ghz with 1.36v with temps right around 70c at load. If I push 1.4v its stable at 4.8ghz with temps coming close to 90c at load, but that is a little high for me and not worth the extra 0.3ghz in my opinion. you can run superpi to check single threaded benchmark to see if the .3 actually makes a difference. I did not think of using SuperPi, its been a while since I used that. 70deg is still in the safe range for this CPU, and those temps were hit after a bit of prime95. I really need to play with it a bit more. I am wanting to try to hit 4.5-4.7ghz, I will need to play with the voltage a lot. The EZ overclocking put the CPU at 4.5ghz with 1.7v, I did not even try to boot it with that voltage. I considered an AIO like the H55, but getting a cooler that costs more than the CPU and mobo kinda defeats the purpose of being cheap lol. Unfortunately this case is too small for any bigger/better air coolers, I would have loved to use the 212evo but alas it wont fit. So far it preforms underwhelming in current games a to be expected, but it plays them. All I have benchmarked is CS:GO at stock speeds and it rocked 160fps average with a low of 130ish fps, so for an esports machine this CPU/GPU combo is doing well. I also have a G3258 and I LOVE this GPU I have mine running at 4.2 and it's great hoping on getting a 4690k here soon. Clocked at 4.5ghz with a core volt of 1.356 it keeps the CPU right at 70deg (core 1 was about 72deg and core 2 was about 68deg) when running prime95. I ran it for 12hrs when testing my overclock and the temps stayed stable. The ambient temps in the room were around 23deg. (All temps in Celsius). 4.5ghz is stable and what I am currently running the G3258 at, temps stay well with in the save range for this CPU. The highest I saw was 80deg on core 1 when testing 4.8ghz with a core volt of 1.39. core 2 was sitting around 75deg. In the end I was not able to get 4.8ghz stable so I did not worry about the temps much. It handled prime95 for about 45min before crashing so I feel they are fairly accurate temps for this clock speed. I will have to check my idle temps, I don't remember making note of them. I will post those when I get a chance. Your very welcome. I am actually impressed with the performance of this cooler. I was going to go with the 212 evo but it would not fit in the original case I had planned so I got the T4. I have owned 212's and between those and this T4 there is not really much of a difference IMO. I would definitely recommend the T4.